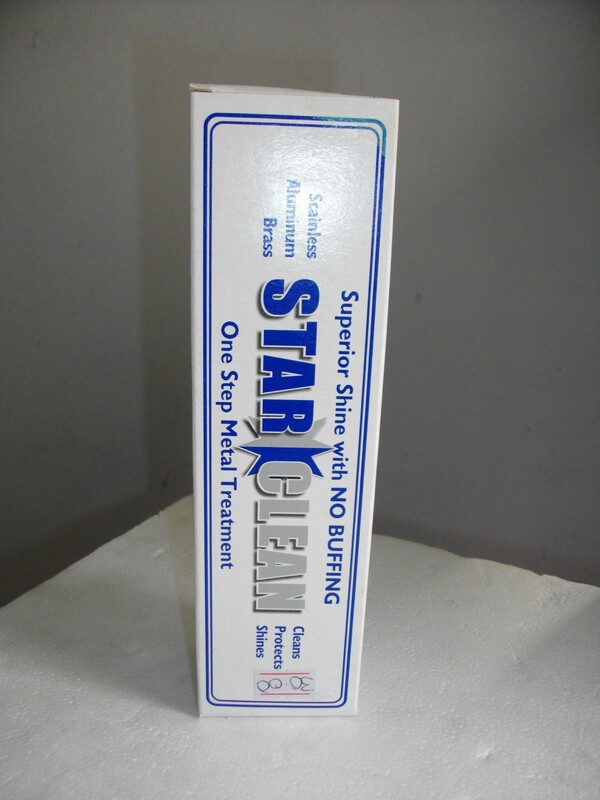 Star clean is a powerful cleaner/protector that leaves a high gloss finish without buffing. 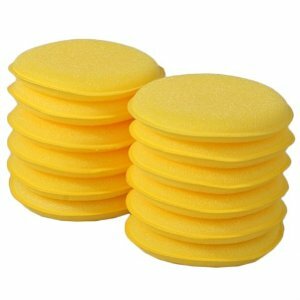 It is used on all metals; stainless steel, copper, brass, aluminum, chrome, gold, silver, but not silver plated objects. 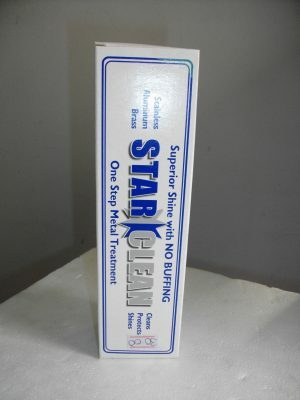 Star clean is very effective on enamel, ceramics, and fiberglass. It treats stainless steel kitchen surfaces, chrome wheels, and marine stainless in a fraction of the time.